Could not find Clymer Creek Cemetery. There is an Alvord Cemetery on Clymers Creek, and a small cemetery near the Mt. Zion Church on that road. Without further information, this cemetery will remain unknown. Clymers Creek Rd. runs as county highway 4/1 from Trace Fork near Hurricane at 38.343573,-82.002429 to Hollister Rd. 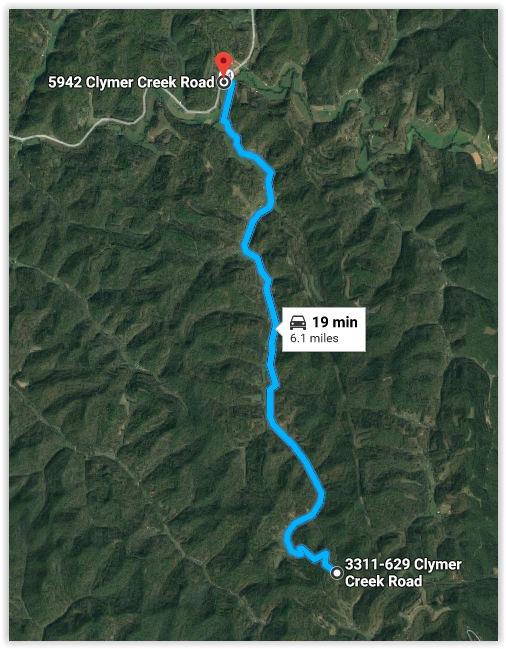 at 38.277510,-81.983145, with which it merges...end of that creek, road becomes Valley Fork Rd.